This motorcycle modification should be given the thumbs up. 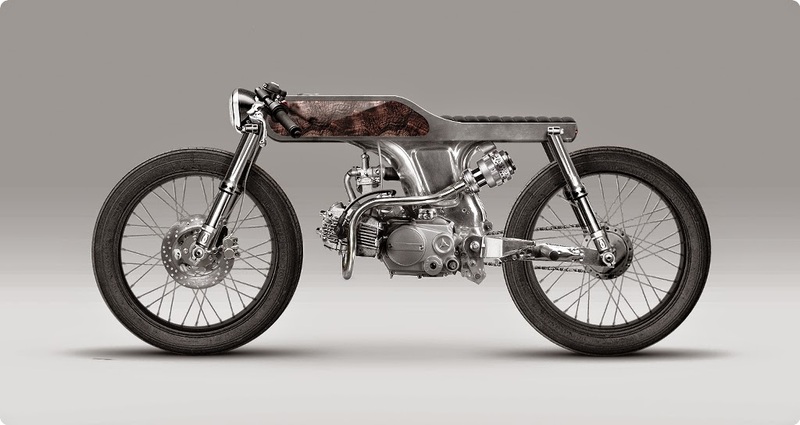 Let's see, the classic looks of the Honda 125cc SuperSport has been successfully removed and transformed into a very beautiful radical artwork. A Beijing-based motorcycle modification house, Bandit9 has been successfully overhauled his performance and gave him the name 'Bishop'. His figure is now a minimalist yet powerful aesthetic beauty exudes luxury wrapped. 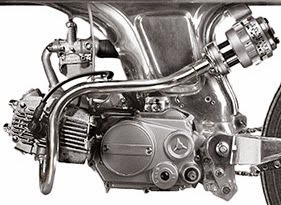 The most radical modification is by reconstructing its framework that uses a unibody frame of high grade aluminum. More unique, they also make the fuel tank merges with frame to show the impression of rigid and sturdy. So that it looks more beautiful, then the fuel tank coated with a walnut. For this parts, Bandit9 provides an alternative layers, namely oak or teak. Furthermore, the old seat replaced with the best grey suede seat that will make our butts like sitting for hours on it. Meanwhile, for the lighting and suspension, Bandit9 offers a new sets of their own homemade. Other extreme changes that cuts are considered less functional components such as front and rear fenders, instrument panel, and then old exhaust system is replaced by an eccentric custom exhaust and muffler.